The Hang [pronounced hung] is a new instrument invented by Sabina Schärer & Felix Rohner in Bern, Switzerland circa 2001 A.D. and is the result of a marriage between art and science. 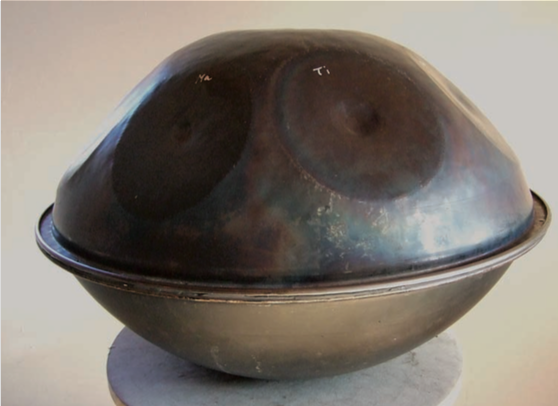 The Hang is a rare, melodic percussion instrument that births a new dimension of instrument creation, for it is a vibrationally based instrument that can individually create a cathedral of sound. Its creation spawned a family of instruments called Handpans. They are similar to the Steel Pans from Trinidad only they sound much more magical, are shaped like UFOs, and are played with your hands. 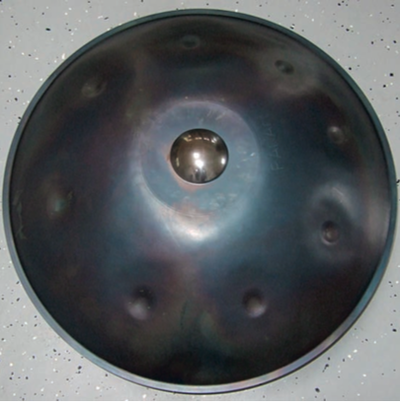 Although original Hang makers discontinued the Hang in 2013, there are many Handpan makers now in the world, however the original Hang makers continue to build the most beautiful handpan instruments to this day. The Hang sounds like a incredible meld between a harp, xylophone, hand bells, and a gong. Most say it sounds like a “gift from heaven." It is the most uniquely perfect instrument for a wedding ceremony. Hearing it during your processional will make you feel like you're being escorted by a chorus of angels. The Hang is unlike anything else in the world. A human being is most human when he or she is playing. Humanity possesses an enormous cultural treasure: the countless musical instruments of its many different cultures. 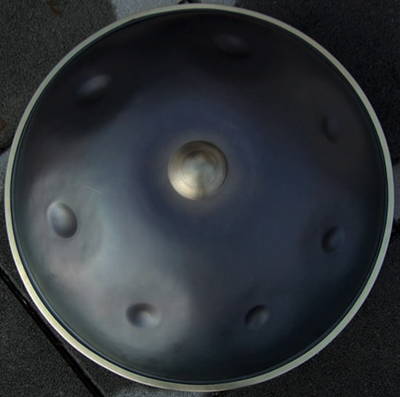 One of the most recent acoustical instruments is the Trinidadian Steel Pan. It came to England in 1951 and later to central Europe, and it set us into vibration. We made Steel Pans for twenty years. 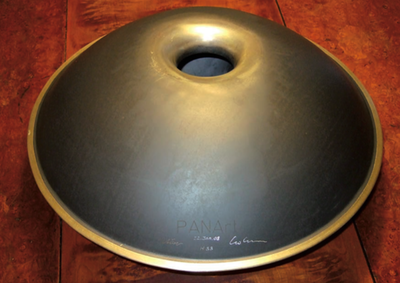 In the endeavor to improve the pitch retention of this young instrument, we developed a new form of sheet steel. We called it PANG-metal*. 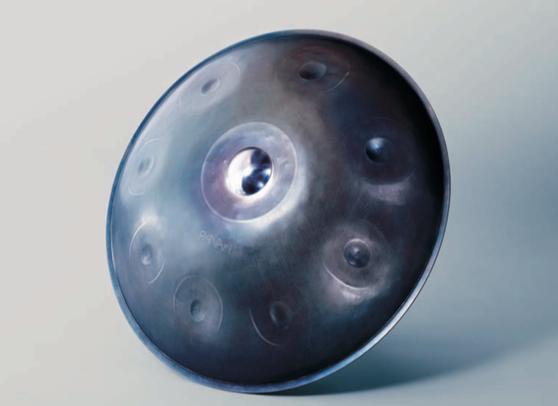 Working with this high-energy material brought us closer to the essence of the sound of metal: it revealed to us both its chaotic and its harmonic aspects. 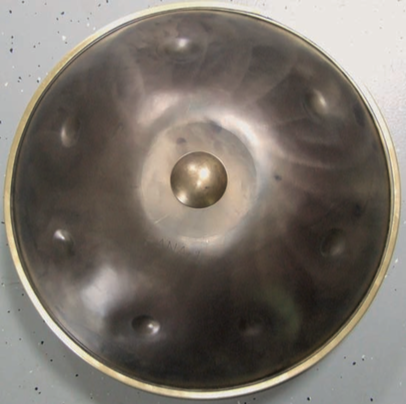 We began to study other metal instruments and tried to understand their acoustics through reverse engineering. 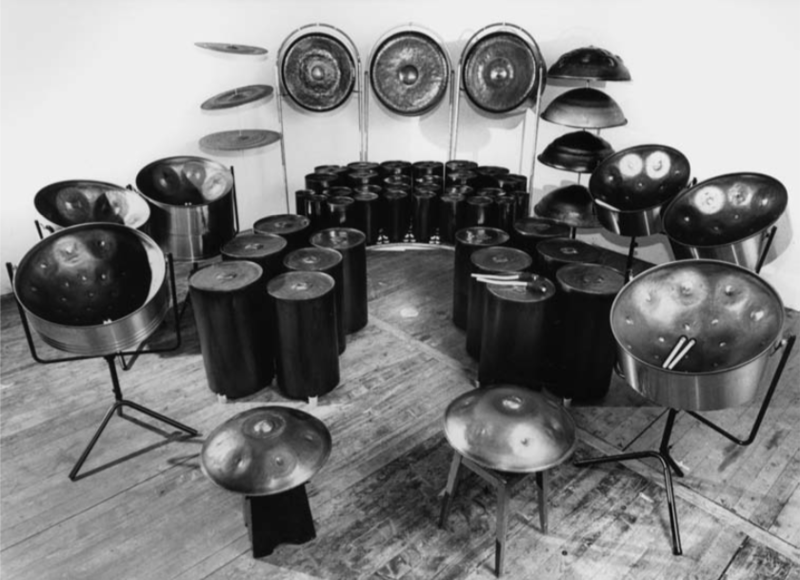 From this emerged the PANG instrumentarium, the traces of a journey which led us from the steel pan to the bell, thence to the gong, the gamelan, the cymbal and the drum, and finished with the Hang, the unification of rhythm and melody. A new musical dimension was opening up. The hand ventured to the metal, and the sound gained in depth. The Hang [haŋ] has found a resonance in the souls of individuals all over the planet. It sings under the hands of modern pilgrims, on stages large and small, in religious ceremonies, in magical rituals, in therapy practices, in homes and schools. It adds a touch of colour to many styles of music, and, in quiet places, it speaks to the spiritual development of the individual.